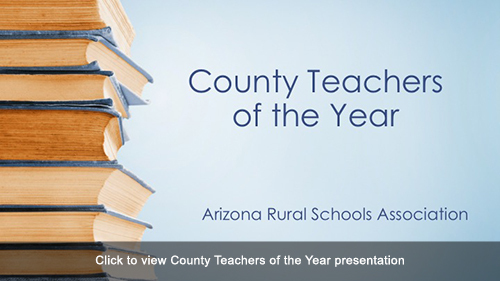 Each year ARSA presents two prestigious awards to outstanding Arizona educators: the County Teachers of the Year Awards and the Arizona Teacher of the Year Award. Award winners receive plaques acknowledging their achievements and recognition. Please take a moment to view our County Teachers of the Year for 2016 listed below. Congratulations to all of you!